This pixel art Souls-like mostly knows its way around combat but almost everything else is left wanting. When Death’s Gambit began, its verbose opening led to protagonist Sorun racing his dark steed into Siradon, intent on uncovering its dark mystery. Employed in the thrall of Death himself, Sorun is the result of a failed expedition and refuses to return to his homeland Vados. This setup, the contract with Death that can be dispelled at any time, the scant but magnificent creatures of Gaian’s Cradle and the strange bloodthirsty merchant are almost lost among the Souls-like similarities. There’s the stamina bar that eats into every dodge roll, jump and slash. The overwhelming entity raining fire down upon Sorun and his enemies, which is a phoenix and not a dragon but the same rule applies. The sanctuary full of oddities, each coming to Siradon with their own purpose and seemingly lost among its machinations. "However, when Death started playing a video game and opined about its “vision”, clearly referencing the developer’s own work in the process, it became a bit much." Don’t be fooled though. You’re told almost immediately what your purpose is. Head into Siradon’s citadel, Caer Siorai, and destroy the “Source” of immortality so that Death can ferry souls into the afterlife once more. Death’s Gambit slowly unfolds past its inspiration, presenting a world of fantasy and ever-lasting life but marred by ruin and tragedy. The pixel art style, which relies as much on raw animation and detail as it does basic movement and rotation, feels grungy and raw. Even the music is a mix of epic orchestral warring and surreal tones. When Death’s Gambit does its own thing, it has an intrinsic flair. However, as its core opens up, the various uneven edges become more apparent. The story-telling is very character-centric. Sorun isn’t some kind of husk that the player makes their own – he’s a pre-made entity with a past and personality, swaying between sarcastic and stoic when the conversation calls for it. Sorun’s mother Everly joined the expedition when he was a child and never returned. His motivation for venturing to Siradon for the so-called “Source” is revealed in interesting cutscenes between deaths. Furthermore, visions of the future and what’s to come can crop up as well. Many of Sorun’s exchanges in the game are generally well-voiced. You’ll quickly find that Death is a constant companion, offering more information on Sorun’s circumstances and the world around him. Much of Death’s Gambit touches on the themes of life and death while exploring the lines in between. Immortality, viewed as a gift, can also act as a source of stagnation for those who simply have no drive or motivation to continue forth. However, as Sorun points out in his crusade to Caer Siorai, the various immortal entities seem plenty motivated to stop him. It’s that contrast, along with the various motivations of characters like Ione and Endless, that makes the plot of Death’s Gambit interesting. Sometimes, Death’s Gambit will slip from clever to awkwardly self-referential. I can get behind the game acknowledging my deaths and characters speaking about my persistence or how I won’t stop fighting them. This helped paint the world as responsive to my actions rather than simply remaining static every time I died (though any new snippets of dialogue cease after a point). However, when Death started playing a video game and opined about its “vision”, clearly referencing the developer’s own work in the process, it became a bit much. Furthermore, without spoiling too much, a late-game twist gave a bit more context as to when Death’s Gambit was set. It was odd, to say the least, and didn’t do much to the overall lore aside from simply acting as a rough departure from the status quo till that point. "If the atmosphere and world-building picked up the slack, I probably wouldn’t have minded the lacklustre characters all that much. Alas." The environmental story-telling in Death’s Gambit, a crucial part of the journey as it drives one to explore deeper and deeper, is uneven. Much of this has to do with the aesthetic. While some environments like Garde Tum, Caer Siorai and Journey’s End are intriguingly designed, ranging from darkly atmospheric to macabre, others like Obsidian Vale and Amulvaro’s Tower just feel like rote levels. Some of the background details – like the Obsidian Vale boss just chilling in the background – can be pretty nice. Likewise, the gameplay twists in each stage like the laser gates and respawning enemies of the Tower or the sniper firing from afar (and becoming a boss later in the graveyard) are intriguing. They do little to draw you into the lore of the place though. Some structures should have deeper meanings and intriguing secrets but many times, they’re just locations you rush through en route to the next boss. This isn’t to discredit the art-style or story-telling entirely. 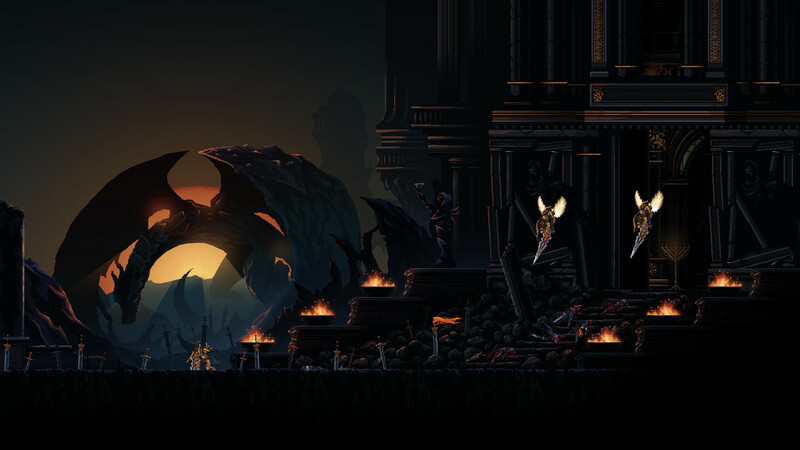 The various character sprites and enemies, especially bosses like the Eldritch Inquisitor and Dark Knight look pretty darn good. The latter in particular reminded me of Marvel Comics’ Venom with his morphing move set. The animation and sprite work is on point even if it’s somewhat lacking in places (like for the Forgotten Gaian and Cusith bosses). Likewise, the story itself mostly felt compelling enough that I wanted to see how it ended. Unfortunately, I didn’t really feel any attachment to the characters or the overall plot. The motivations behind important characters like Endless and Vrael felt under-developed, which is a shame considering the former’s role throughout the game and the latter’s determination and excellent voice acting. One’s connection to the world of Siradon just felt underwhelming as a whole. Death’s Gambit does the rote work in terms of lore and secrets and it’s fine but only just. If the atmosphere and world-building were far more compelling, I probably wouldn’t have minded the lacklustre characters all that much. Alas. The good news, for the most part, is that the gameplay is fairly tight. Combat is solid with each weapon – whether it’s the heft of the axe and greatsword or the rapid slashing of the longsword – feeling unique. Each has their own special attacks to learn. Longsword users can jump up high into the sky and crash down with a slice, increasing their damage for a short period. Alternatively, they can summon a giant sword of light to deal massive damage. There are plenty of choices to be had, especially for those who want to mix and match Intellect or Finesse skills with Strength builds. The skill tree offers some unique combinations like dodging in mid-air (something which I felt should have been unlocked from the start), using energy weapons with unlimited shots as long as an ability is on cooldown, and so on. Each class has their own starting perk as well like the Blood Knight restoring health upon immediately retaliating and that further incentivizes experimentation. "Vertical movement is important in Death’s Gambit but there seems to be a contrast between the game’s emphasis on that and stamina management." If that weren’t enough, there are also Auras granting special effects like recovering 5 percent health with each hit while above 70 percent health or increased Vitality (which can be lost upon dying). Other mechanics like losing Phoenix Plumes, the equivalent of healing charges, with each death introduce some other clever wrinkles. You can even forgo the number of Plumes held to increase damage dealt. Maybe you want to lose some Phoenix Plumes during a fight and pick them up the next time to increase overall damage by 20 percent thanks to a specific perk. There are strategies to be had, though I wasn’t a huge fan of skills relying on Soul Energy – garnered by hitting enemies – to use them. 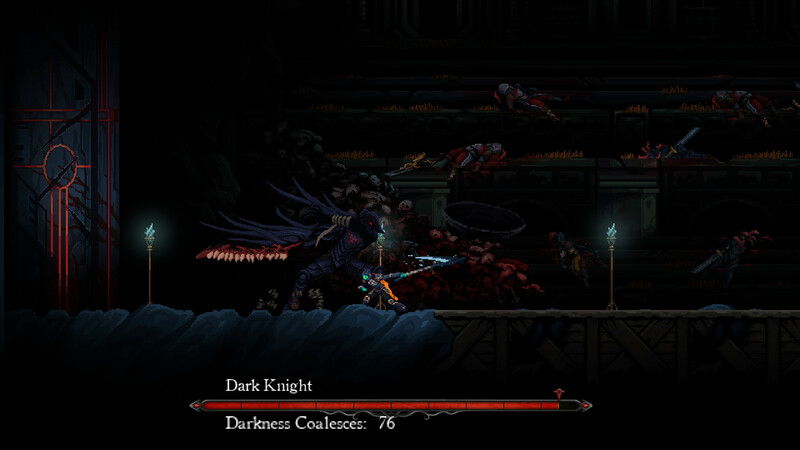 The variety in boss fights is equal measures fun and frustrating. After a simple starting battle with the Owlking, you’ll be thrust into battling an overwhelmingly large boss, weakening it enough to handle its summoner-esque companion before taking both on at once. You’ll obtain different polarities en route to another boss, the opposite polarity doing more damage against him while the same polarity does less damage. These have to be managed during the fight as the boss changes polarities and charges up different, dangerous foes to assist him. Don’t even get me started on the encounter with Thalamus which is a more interactive test of will than an actual fight. Each boss also has a Heroic Rematch, a tougher version of the fight for players who want the additional challenge. Vertical movement is important in Death’s Gambit but there seems to be a contrast between the game’s emphasis on that and stamina management. At times, stamina can feel too restrictive in some fights as you’re torn between jumping or dodging. As the game progresses, fights become more clear-cut in the different moves that have to be used. What can feel arbitrary in the beginning slowly builds up to dodging in mid-air or consuming less stamina with attacks (provided the appropriate aura is equipped), and you’ll find the combat to be more encompassing as a result. Otherwise, jumping is realized through the various platforming segments. I’m a bit torn on how good some of it really is since it can range from typical (simply hop on disappearing platforms) to exceptional (mid-air swipes offering a bit of floating, which helps in the multi-stage Corpse City). Boss fights like Galaxy Mage Amulvaro, Cusith and Tundra Lord Kaern are where the platforming and verticality shine though they are the exception rather than the rule. "Death’s Gambit offers an interesting soliloquy on existence while ensuring enough hack and slash action to keep fans chugging through the plot." That being said, does the combat really stand out against the likes of titles such as Dead Cells or even Salt and Sanctuary? Not really. It’s solid and feels responsive but that feeling of engaging in just one more fight feels kind of lacking. Forgoing Plumes for the sake of more damage feels like a nice twist, as players who learn enemy patterns and dodge more effectively are rewarded with dealing more damage. However, it’s not an amazing new twist to the combat nor does it feel like an immense reward for knowing the ins and outs of the environments. 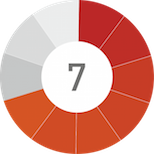 The progression system, which involves enchanting items to bolster their base stats or disenchanting items for upgrade materials, is fairly routine as well. Death’s Gambit offers an interesting soliloquy on existence while ensuring enough hack and slash action to keep fans chugging through the plot. As interesting as each individual aspect can be – even lacking bits like the world design and lore – the game as a whole feels somewhat diminished. A single playthrough for the challenge and unique boss fights along with the intriguing art-style and premise is worth a middling recommendation. However, that connection to a world, to a place that feels bigger and more alive with these stories and secrets tucked away and waiting to be discovered, isn’t really all that strong. Death’s Gambit may tell you a lot about life and death but it stumbles when defining its own existence. Tight combat offers a decent range of options with the perk tree bringing more customization. 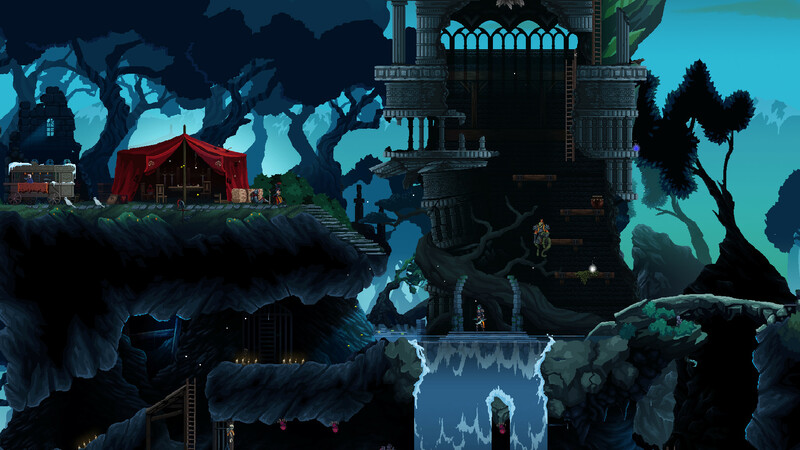 Pixel art style is uniquely dark in many cases. Elements of platforming work pretty well, especially when paired with the compelling boss fights. Decent story with a compelling plot and interactions that play on the hero's constant dying in clever ways. Dialogue can get a bit kitschy at times. Environment design feels weak in places, both aesthetically and gameplay-wise, while the pixel art style looks uneven overall. Certain character motivations feel under-developed and the world-building could have been a lot better. Unfortunately doesn't feel greater than the sum of these disparate parts. 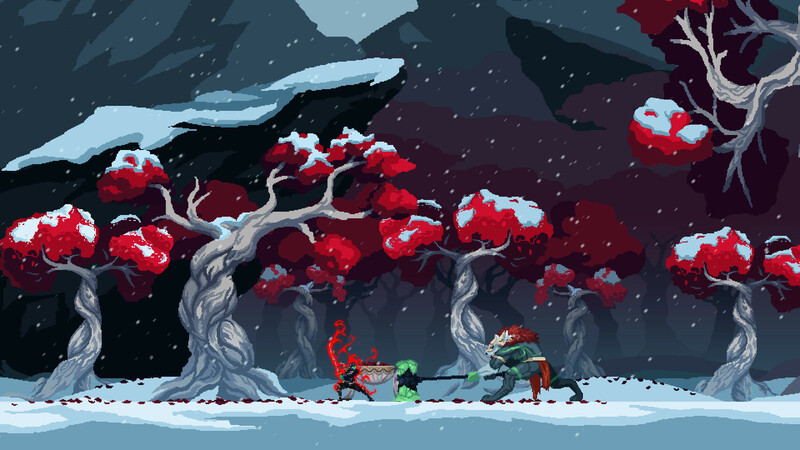 Despite lagging behind in certain key areas and roughly developing others, Death's Gambit is a relatively enjoyable romp for fans of 2D Souls-like hack and slash. Siradon won't beckon you like Lothric or Yharnam anytime soon but presents some enjoyable sights and sounds otherwise. A copy of this game was purchased by author for review purposes. Click here to know more about our Reviews Policy.